Chinese New Year is fast approaching. It's on February 5, 2019. On Friday night, San Francisco Chinatown launched a new art exhibit: “Chinatown Sweets and Pastries.” It features the work of Chinese American artists. “Beyond having tourist come to walk the streets of Chinatown and buy pastries, I want them to ask questions,” says Emma Marie Chiang, a film maker and photography whose work is showcased. 41 Ross Alley gallery will be exhibiting Chinatown Sweets and Pastries from Thursday, January 24 through Sunday, February 24, 2019. 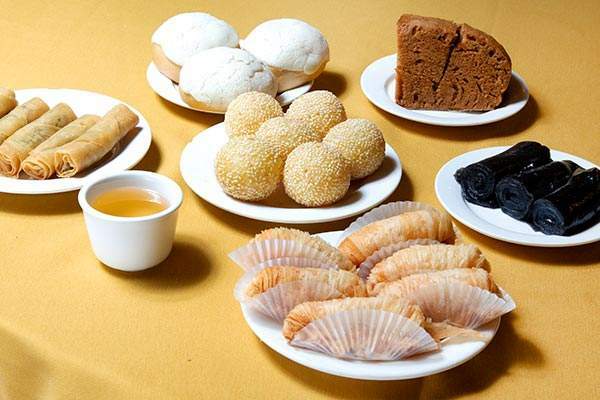 This exhibition curated by Chinatown Community Development Center explores the role that Chinatown’s sweets and pastries play for residents in their daily lives and on holidays and special occasions. This exhibit focuses on San Francisco Chinatown’s vibrant and unique culinary traditions at AA Bakery, Dragon Papa, Garden Bakery, iCafe, Ming Lee Trading Company, and New Asia. These places sell everything from dragon’s beard candy and egg tarts, to red bean buns, candied fruit, and sweet soup dumplings. These foods are more than just sustenance and a sugary indulgence for the soul – these foods help provide Chinese Americans with an identity and community built on shared meals and a little bit of sweetness. The exhibit features photographs and a film by Emma Marie Chiang with assistance from Martin Peter Bustamante, stories gathered by Vida K, and a lighted sign installation by Tiffany Hsieh and Brandon Ly. 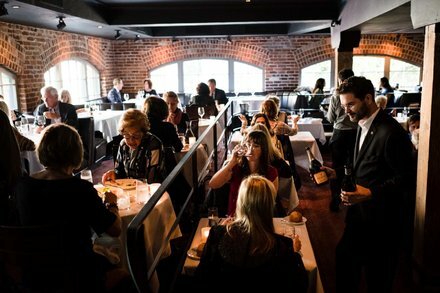 Jardinière was the first high-end restaurant to open in Hayes Valley, near the Beaux-Arts City Hall, which was undergoing a $300 million remodeling and seismic upgrade. Ms. Des Jardins, along with the chef Nancy Oakes (who opened Boulevard in 1993), contributed to a more formal and technique-driven era of dining in San Francisco, defined by restaurants that mixed California cuisine and performance art, including Jeremiah Tower’s Stars and Wolfgang Puck’s Postrio, whose showy interior was designed by Pat Kuleto. Ms. Des Jardins, who grew up on a 4,000-acre farm in the San Joaquin Valley, will also pivot from French-influenced cooking to focus on Mexican food. Her father is of French Acadian descent, and her mother’s family is from a village in the Mexican state of Sonora. Escape From New York is closing two locations, including the Mission location on 22nd. I hope something occupies that space— former Lolo (cevicheria) and Los Shucos spaces aren’t open, leaving Pushcart Fare as the only (exclusive ) restaurant on that block. What a bummer! I very often grab a slice after a show at the Makeout Room.